London - Ole Gunnar Solskjaer's success at Manchester United is partly due to the work of his predecessor Jose Mourinho, according to former Old Trafford chief Louis Van Gaal. Van Gaal, who spent two seasons at United before being replaced by Mourinho in 2016, insists the Portuguese coach's tactics have laid the foundations for Solskjaer to build on. 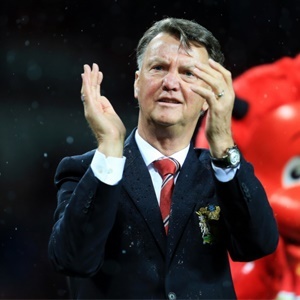 "The way Manchester United are playing now is not the way Ferguson played," Van Gaal told the BBC on Tuesday. "Solskjaer has just lost twice and he has to manage that. It is very important that Manchester United qualifies for the Champions League. As it was when I was manager. The former Barcelona boss remains unhappy that Ed Woodward, United's executive vice-chairman, made contact with Mourinho while Van Gaal was still at the club. "What I don't like is Ed Woodward contacting my successor, knowing in his mind he will replace me and he keeps his mouth shut for six months," Van Gaal said.